In a dry blender add bread pieces and powder it; keep it aside. Next; Add boneless chicken pieces, salt, ginger garlic paste, pepper powder and mixed herbs in to the blender; Blend to smooth. In a mixing bowl add this pureed chicken, powdered bread and corn flour; mix well and knead a smooth dough. Now take little portions from the dough and make small patties of nuggets shape (with 1/4 inch thickness). In three flat bowls arrange beaten egg (with little salt), flour and bread crumbs. 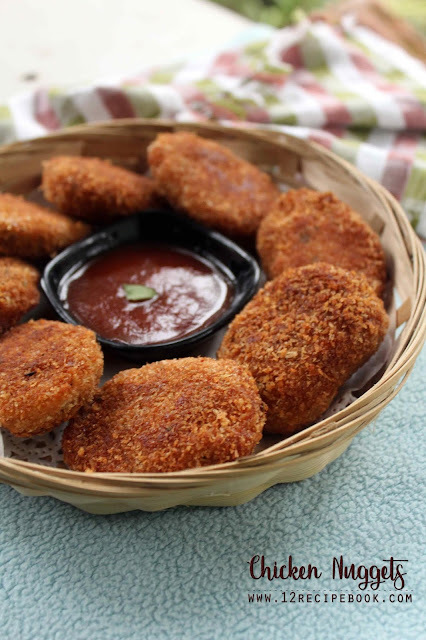 Take a prepared nugget and dip it in the beaten egg; next coat with flour; again dip it in the beaten egg and then coat bread crumbs. 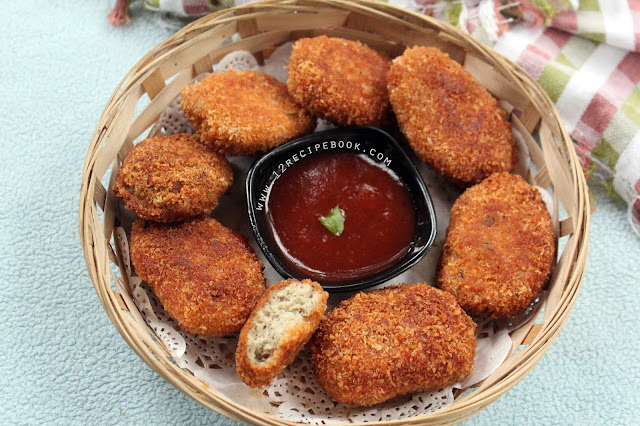 Prepare all the nuggets in this way (You can store these in freezer for about 1 month and fry them whenever quest comes☺). Heat a pan with enough oil (deep fry or shallow fry). Add the prepare nuggets and fry them in low flame on both sides (if the flame is high; the inner sides won't be cooked) until golden in color. Drain in to paper towels and serve hot with tomato ketchup and French Fries!